Welcome to my new blog and a happy 2011! In the future I will regularly post updates and new photos on this blog as they become available. I will also inform you of relevant changes on my website. If you subscribe to this blog you will be informed of any new posts and images as they go online. I hope you follow and enjoy this blog. 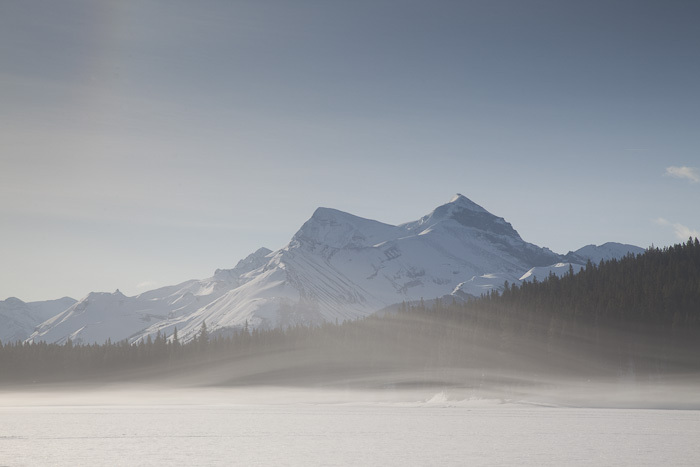 Below, as a starting image for both 2011 and my new blog, is an image taken of the frozen Maligne Lake in Jasper National Park in February 2010. Please remember that all my images published here or on my website are also available as prints ;o). This entry was posted on January 1, 2011 by Johannes Fehrle. It was filed under Updates . Hi Johannes, Happy 2011 to you and yours ! Will be great to follow your photography blog….thanks for sending. Cheers, Randy Findlay, Burnaby,B.C. Happy New Year! Thanks for the newest update option, I jazzed, this will workout so well. habe dich völlig aus den Augen verloren und mal geschaut, ob deine Homepage noch exisitiert. Dadurch bin ich jetzt hier gelandet. Das ist cool, dass du jetzt aus einer der schönsten Gegenden der Welt berichten kannst. Freue mich auf weitere Bilder!